This week’s exhaustive engagement of emails takes us to Bedfordshire, involves some night driving, horses around a bit and, in part 2, gets us stuck in a massive traffic jam on the Fulham Road. I have run Vauxhall Cavaliers, Vectras and Insignias since the 1980s, all from new and kept them around 5/6 years before change. They have always performed well and caused few problems and I have been satisfied with them. I particularly like the large boot capacity, increased much more when the rear seats are folded down. My present car is a 1,800cc 2010/60 Insignia that I have had from new. It has 55,000 miles on the clock. I am thinking of changing to a new or newer car and have in mind another Insignia, but I do not notice many of the recent new model on the roads. Could that mean I may get a good deal if they are not selling well, but why are they not selling well? Other models I may look at are the Nissan Qashqai, or a Toyota RAV but they are more expensive than the Insignia. How do you rate the current Insignia, and can you suggest any other models around the same size I should consider? I could pay from capital for another car, but read that a PCP may be a better way to raise the finance. It seems that discounts may not be available if the manufacturer's PCP is not taken up. What do you advise on finance? Yes, you should get a good deal on a new Insignia. At least 20% discount. If you can't, walk out and they might chase off after you. On the basis of reader feedback Qashqais have not been reliable. RAV-4s are, but a bit old fashioned. If you want a really nice SUV, get a Mazda CX-5. If you want a really reliable one with great handling, get a KIA Sportage 1.6T-GDI GT AWD manual. I’m not allowed to advise on specific finance deals but do recommend that you add up all the figures of what the deal will cost you and that you are aware of the consequences of dropping out of PCP. In your column a week or two before Christmas you printed a query under the heading ‘Bright Idea’. I write, rather belatedly, with two more thoughts that readers may feel are of some merit. One, is that these days many vehicles, such as SUVs, are taller than the traditional saloon, which tends to raise the SUV’s headlights - even when dipped - into the saloon driver’s eyeline. Two, given the above, I have found simple yellow-lensed so-called ‘night driving glasses’ to help considerably. They are hardly a new idea. I had some 50 years ago; and they can still be bought for only a few pounds. I hope this may be of interest. That is helpful, but another reader came up with the main reason why drivers over age 55 have trouble with oncoming headlights. It's a little known form of cataract that affects the periphery of the pupil that most sufferers are completely unaware of except when driving on country roads at night. Don't expect a high street optician to know anything about it. Needs a high level of eye examination to properly diagnose and can be fixed by a simple procedure. The new MoT test proposes to fail all aftermarket light bulbs that could potentially dazzle oncoming drivers. You have been very helpful to me in the past with advice for my daughter to buy a Dacia, with which she is very pleased. Now, daughter No 2 is looking for advice. She has a VW Touareg, which she uses to tow a double horse-box and other odd trips. However, it seems to cost the earth to repair and its not very old: First suspension problems, then a leak from the rear windscreen water pipe, and now a leak from a water pipe feeding the engine which is costing £700 to repair. She lives near Kilmarnock in Ayrshire. She has two choices: change the VW for a different vehicle that can tow a double horse box (what would you suggest?). Or get rid of the VW and rent a car to replace it. I was interested in the response that it is bad for any car to turn off the engine as soon as one has driven it out of the garage. I changed my car insurance to LV and read the small print in which it says that cover will not be provided if the car is unoccupied with the engine running. I have my own drive, a manual up and over garage door and usually back out to within a couple of feet of the garage door then get out of the car and close the door before returning to the driving seat and driving off. My house is in the centre of a village, not in a secluded location. I rang LV and was advised that I should back out, turn off the engine, get out, lock the car then the garage door then unlock the car, get in, start the car and drive off to ensure that I would be covered if the car were stolen in the circumstances. Surely this is impractical? I have heard about the farmer who got out of his expensive new vehicle to unlock a gate on his own property, leaving the engine running when it was stolen. I should be grateful for your advice in the circumstances. You can damage your engine by starting it then almost immediately switching it off again. Fills the bores with unburned fuel that washes the oil off. So each time you do it you remove a little bit of the bore liners. Engines are damaged in this way at dealerships and car lots all over the country. Up to you. Minor damage to your engine or loss of insurance theft cover. Nothing in-between. Following numerous e-mails to Andy Barratt, CEO of Ford UK, I received responses that denied anything was wrong with the satnav of my Ford. Eventually, I was told that if anything was incorrect or missing, the handbook supplied with the vehicle contained an e-mail address where it could be updated. But the email address (www.here.com) has a drop-down box that doesn’t even feature Ford, let alone allow updates. I therefore e-mailed Andy B again and this morning, one of his executive team has called back to confirm and finally confess that there is an issue with the Sync 3 satnavs, but that no updates are yet available, so I thought you’d like to know. Almost all car manufacturers are in denial of almost all faults until the issue becomes so big they have to do something about it. Doesn't seem to affect sales because, even after VAG was caught out over the NOx emissions issue, sales in the UK actually increased (as I more or less predicted they would on BBC News the day the scandal broke). Your only real defence is to get legal and to use Small Claims sue the dealer who supplied you with the car for the estimated cost element of the satnav that is out of date and cannot be updated. The best satnavs in cars are live, such as the R-Link in new Renaults. Requires a SIM card and a subscription, but updates itself as newly opened roads are fed into (I think) Google mapping. It's so stunningly effective it shows live traffic jams on all the roads surrounding the one the car is on, even in small towns. Ford's Sync will eventually get to this, but at the moment still has teething troubles. I'm looking for a 3-year old small automatic SUV and quite fancy a Qashqai 1.6 diesel automatic. Most of my motoring consists of 10 to 15 mile journeys with occasional much longer motorway trips: annual mileage is in the region of 15k. With the government's current downer on diesel vehicles, would I be better off looking at the 1.2 petrol option, or have you any other suggestions? Unfortunately, there has been a lot of trouble with the 1.2DIG-T in Qashqais built over 2014/2015, and, while Nissan's new X-tronic CVT is a lot better than its previous CVT that used to fail all the time, I cannot recommend it. The 1.6DCI engine is very good, though. I ran one for a year and 20,000 miles in a Kadjar with no trouble. Kadjars seem to be better built (in Spain) than Qashqais (in UK), but no 1.6DCI auto because Renault's DCT isn't up to the torque of the 1.6DCI. Probably better to go for either a Suzuki Vitara S 1.4T Boosterjet AWD auto or a Peugeot 2008 1.2 Puretech 110 EAT6, both of which have more reliable torque converter automatic transmissions. I live in the north of Scotland and am looking to buy a second car for local runs, and general day-to-day chores. The Suzuki Jimny is very popular here, particularly because of its 4-wheel drive, however I note that it has universally poor ratings for comfort, road driving, and most other things. Nonetheless, I like the design, the small compact size and the flexibility in poor weather (which we get lots of). I spoke to my local Suzuki dealer in Inverness who advised me that they are no longer being made, and that there are just a few hundred left, which will gradually be sold off, and that it is no longer possible to place a “customised” order. He has no idea of any pending replacement (the Ignis 4WD, maybe?). As little 4-wheel drive cars go, Suzuki has always had a good reputation for long life (many around here have over 100,000 miles on the clock) and producing semi “cult” vehicles of which the Jimny seems to be the last in line. The Ignis certainly doesn't have the same “image”, although it might be a more versatile car. I would appreciate your opinion on whether it would be a good idea to snap up one of the last remaining Jimny models, given that I would put on only low annual mileage, it would be garaged and well looked after, or whether I would be wasting the best part of £13k-14k on what is an outmoded car? The Jimny is full 4WD with high and low range and centre diff lock and its low weight makes it very good in deep snow or off road. On the road it's horrible to drive, bouncy and uncomfortable with vague steering. It's also rust-prone. So depends on whether the benefits outweigh the snags. Suzuki has stopped making them, there’s a new one on the way, but around 200 of the old Jimnys are left in UK Suzuki dealer stocks. I took delivery of my £86,000 Range Rover Velar at the end of September (it still has only 900 miles on the clock). After two weeks it was back in the garage with a red warning light: Stop Vehicle. Faulty wiring, apparently. It was again back in the garage two weeks later with the start stop and foot sensor boot hatchback not working; a rubber seal sticking out of the bodywork; infotainment not working. I got the car back then, after another week, the infotainment was still not working; the start stop was still not working; the tailgate was still not working; and in addition the satnav was not working, the ‘surround camera’ was “not available” and then the door handle frost protection stopped working. JLR’s executive office is well aware of all the faults. I’ve not had the car for 7 weeks of the 12 weeks I’ve owned it. JLR keeps telling me the new software release is coming but each new version fails to solve the problems. The car is “not fit for purpose.” Today JLR head office said I can still drive the car although nothing works. And won’t do updates as the “they don’t want to frazzle the car” They have given me a basic Range Rover Sport to drive since before Xmas worth probably £25k less than my car. I have photos of all the faults and am happy to discuss with someone. This situation is shambolic and I would really appreciate some help to get rectified. My 5-year old Jaguar XK, with 19,500miles, owned from new, has developed rust behind the passenger door. I contacted my dealer, Hatfields of Wakefield, who submitted photographs to support a rust warranty claim. Despite numerous requests to seek a report from Hatfields body shop regarding the problem, Jaguar has refused the warranty claim based purely on the photographs. The rust is in an area unaffected by stone damage, and has not been initiated by careless damage to the paint. Are Jaguar's rust warranties pointless? Thank you for the honest photo. I can see a nick of rusted metal above the paint bubbles. That suggests to me that the paint has been chipped by something (maybe a trapped seatbelt buckle) and that has admitted water (possibly a winter saline solution) that had crept behind the paint and caused it to bubble. Probably has not yet penetrated the steel, so best to get the area ground down and repainted ASAP. Sorry I've heard these tyres are a lot better than 'tyre repair kits', but can't comment further because I have no basis on which to do so. I presume the car has TPMS and that will warn you in plenty of time if there is a sudden drop in pressure of more than around 4PSI in any of the tyres. Help! My 2010 VW Scirroco's 2.0 TSI engine has catastrophically failed. The cam chain tensioner is to blame; a part, I now discover, that VW has apparently redesigned twice since they made my car but has chosen not to offer a recall on. As a result, the valves have hit the pistons and I now face a bill for over £8,000 to replace the engine. Bought new in by me and always serviced by the book at my local VW garage, it has covered just 60,000 miles. Both the factory and VW UK have coldly washed their hands and flat out refused any financial assistance. Is this a common occurrence and what I should expect from a brand that for many is synonymous with quality and reliability? What can I do, as the car's value does not justify this expense. It's extraordinary how people still buy the VW myth and are then disappointed. Even after the NOx emissions scandal, VAG sales are up while almost everyone else's are down, leaving me to pick up the pieces over the most complained-about cars in the UK. The timing chain scandal is typically Volkswagen. The company accountants cut the price they were prepared to pay to the timing chain manufacturer. To stay in business, the timing chain manufacturer had to extend the life of his link stamping tools. If a VW buyer got an engine with a timing chain made of links stamped out towards the end of life of the tool, it could have burrs on the links that shortened its life, made even shorter by VW's ridiculous longlife oil service regime. There is no way of predicting when in the life of the link stamping tool the links on any chain were stamped out. So VW owners with timing chain engines built between around 2009 and around 2012 live in a lottery. Best thing you can do now is get the car to a member of http://www.fer.co.uk to see if any of your engine can be salvaged. I am 89 years old, live in West Sussex and drive a 9 year old Toyota Avensis 1.8 Petrol Automatic, 33,500 miles, had it from new, full main dealer history and in very good condition, but probably not worth very much today. I enjoy my driving and both want, and need to go on for as long as I can, mostly local and not overly long distances. I think I need to update to something more up to date and with a good spec. I want a Petrol Auto with a Torque Converter box. I thought something a few years old rather than lease or buy new at my age although I could if that was the best option. I like the look and spec of the Mazda 6 or Mazda 3, but would be grateful for your advice and opinion on these or any thing else (I'm not sure about SUVs). Would £12k-£15k be enough to pay, or should I come up a bit? The next generation Avensis 1.8i Valvematic Multidrive S (from 2009) is a spec I recommend for the smooth drive it offers. That is a CVT, not a torque converter. Alternatively a Mazda 3 2.0 Skyactiv 6 speed torque converter auto is a sensible swap because its smaller than the Mazda 6 and easier to park, but not as easy as the squarer Avensis. 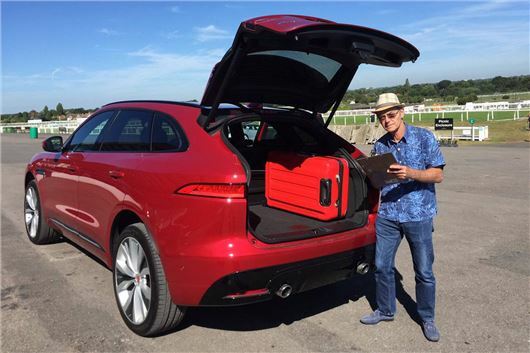 I have been lucky enough to have had a company car for the past 30 years, the last two being Jaguar XFs, which I have found to be the most enjoyable and reliable cars I have ever had and also, for their size, the most fuel-efficient. I am now coming up to retirement and contemplating a car purchase for the first time in 30 years. I really loved the XFs so I am thinking of buying one for my retirement. I am not someone who feels the need to replace my car every three years and I am looking to keep the one I choose for up to 10 years. My dilemma is whether to go for Diesel or Petrol, I will not be averaging much more than 10,000 miles per year. Another consideration I have had is whether to spend the close-to £50k on a more exotic second hand car such as an Aston Martin DB9, or Bentley Continental. Again, I would like this to last a good many years, but it would still need to be suitable as an ‘everyday’ car and would not be garaged. Spend £50k on an Aston Martin or a Bentley and you can reckon on averaging £10k a year on maintenance and repairs. These are strictly rich man’s toys, and Aston Martins always have been. The sensible choice is an XE or an XF with a petrol engine because, even though the longitudinal Ingenium diesels have been much better in the Jaguars than the transverse Ingenium diesels on LandRovers, you will eventually run into emission system problems with the diesels. The problem I am experiencing with my new Jaguar XF is difficult to describe but the salient points are: A front wheel jump or skip only occurs on left hand full lock. When going over this jump or skip the wheels do not turn further. My supplier tells me that XFs now all have electronic steering, which is a sealed unit. I am telling Jaguar that even though I cannot reproduce this fault they must have some factory test for this sealed unit that could well be coming from an outside source. My car is rear wheel drive only and I am otherwise delighted with it as I have been with my many Jaguars. Over the years I have come down in terms of engines from 5.2 litres to 4 litres to 3 litres and now to 2 litres and this latest model is the best by any standards. Have you any further comments on my problem as to how I can approach Jaguar with it? If you don't use full lock, does the problem disappear? If so, that's the answer. Programming steering to apply an electronic lock stop, or setting a physical one, is always a problem because of the compromise between a supertanker turning circle and one that is acceptable. So they set it just beyond the sensible parameter, and drivers have to use their common sense to pull back from that. I own a 2009 Volvo C30 2-litre diesel and have developed a water leak into the driver’s footwell, which seems to come from behind the pedals. Neither myself nor any garage seems to be able to trace the leak. The leak is not profound, but is enough to wet the car carpets on a regular basis, thus making the carpets damp and causing a smell. It could be caused by capillary action from above the dashboard: the most likely source, the garage advises, but I am not sure. The leak could also be from the windscreen, but again no proof. My garage wants to effect an expensive strip-down of the dashboard, etc., but I am not convinced. Can you help? Grateful for any advice. Rainwater in the bulkhead vent well not draining fast enough, or a poor pollen filter seal, or a broken pollen filter cover. I own a 2015 Mercedes E220 Bluetec diesel estate. The engine management light has come on again. The previous two times my local Mercedes dealer replaced a NOx sensor under warranty. I assume the EMS light is again saying there is a problem with a sensor. Are you aware of any issues with these sensors? I've run a Diesel Range Rover Evoque for 3 years from new. A service pack formed part of the deal and after 42,000 miles, the front tyres still have 4mm of tread and the rears 6mm. I average 41mpg and, apart from VED, insurance and fuel, my only running expenses have been 2 headlight bulbs and a set of wiper blades. The MoT smoke test was aborted after 5 minutes due to "Emissions being too clean". I'm contemplating another Evoque as its replacement this year, but is my trouble-free motoring unusual or now the norm with a JLR car? Regarding the article "Will VW ever come clean over diesel emissions", the simple answer is NO. Their total arrogance over the whole issue, the lack of response to customer concerns, lack of apology and proffering cheap gifts to those having the "FIX", plus a total lack of regard to the dealer network who have had to sort out this mess, is nothing short of staggering. Having worked for a VW brand for some time my advice with the fix is: “DON'T BOTHER”. It achieves nothing and listening to complaints after it is done, now including replacing EGR valves, and VW being in denial of post-fix problems and in Europe no compensation for this fiasco, all beggars belief. Your diesel car is now worth considerably less. Thanks for nothing, VW. The day the scandal broke I predicted on BBC TV News that it would blow over and new VW sales would not be affected. That's what happened. The myth survived. Very difficult to alter British people's perceptions. And, of course, if a dealer doesn't want VAG profits, he can always relinquish his extremely profitable franchise. AD should get a remote controlled garage door opener fitted. PD, Kent - Going on a blinder. My Mrs ordered some of these HD driving glasses off the internet as she drives an 04 plate Punto and struggles with being sat in the SUV light tunnel. Paid £18 for 2 pairs. "Going on a blinder" : I can concur with the use of yellow tinted 'night driving' glasses, I got some after cataract ops in both eyes, the clearer vision meant that some other lights on the road dazzled. I remember Dad worn a pair back in the 60s, I think the fashion might have started with rally drivers. Re : Misdirection and Sync 3. My understanding is that the updates are received via WiFi, therefore you would need to make your car's Sync 3 'visible' to your home WiFi (I would not suggest doing updates via a public WiFi). I am guessing that updates are done at a set time, ie the car's unit checks at 2:00pm, 4:00am, whatever, so the car would need to be parked in a place the WiFi reaches at that time. It's just like a Windows or MacOS update on mobile devices, the tablet or laptop needs to be linked to the WiFi when the updates are issued. Re: Sealing facts: if the correspondent is not fully confident of a damaged tyre at motorway speeds, then the only sensible decision is to buy a new one. Does he not consider his life is worth more than £75.00?